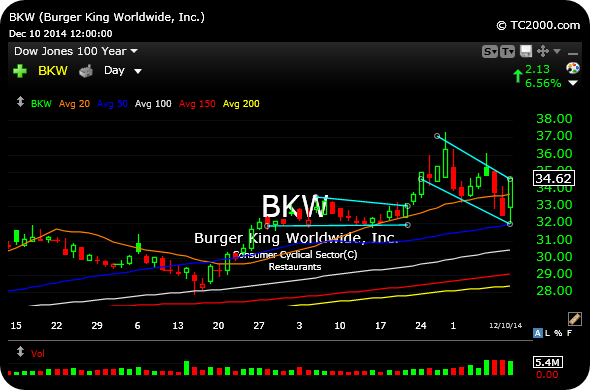 On the long side, BKW is back in contention after Wednesday's stunning outperformance to the bloody market sell-off. On the first daily chart, below, a move back over $35 can trigger a long starter position, especially if the broad market is in bounce-back mode. 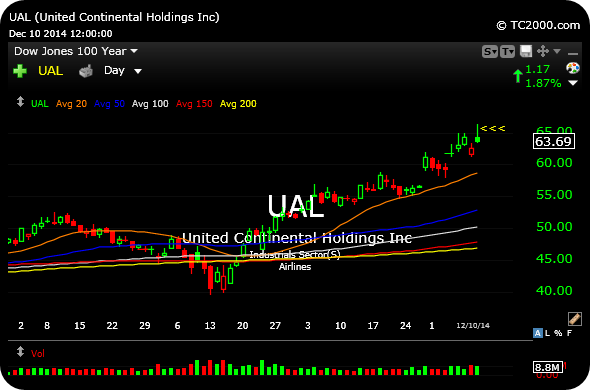 And on the short side, extended airlines like UAL printed exhaustion candles, seen on the second daily chart. With downside confirmation, they now represent good risk/reward shorts with stops above Wednesday's highs.